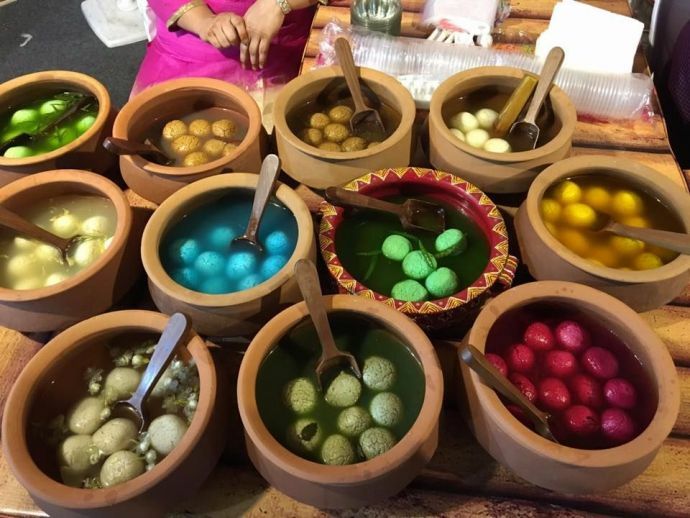 You can find these amazing rasgullas in Active Acres, Tangra, Kolkata for 25/- per piece. What comes to your mind when we talk about rasgullas? White in colour, soft in texture and sweet in taste. Well, don’t get flabbergasted when we tell you that there exist rasgullas that come in 170 flavours. Yes, you heard it right! 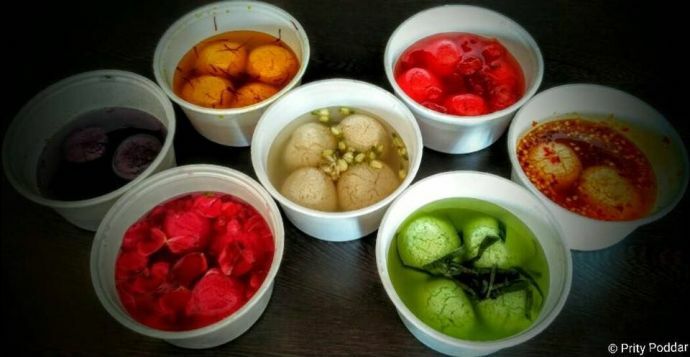 Redefining the age old flavour of rasgulla, Swati Saraf, owner of ‘Swati’s Flavours Of Rasgolla’ has given a mindboggling twist to these sweet delicacies by making them even more exciting and tantalizing. 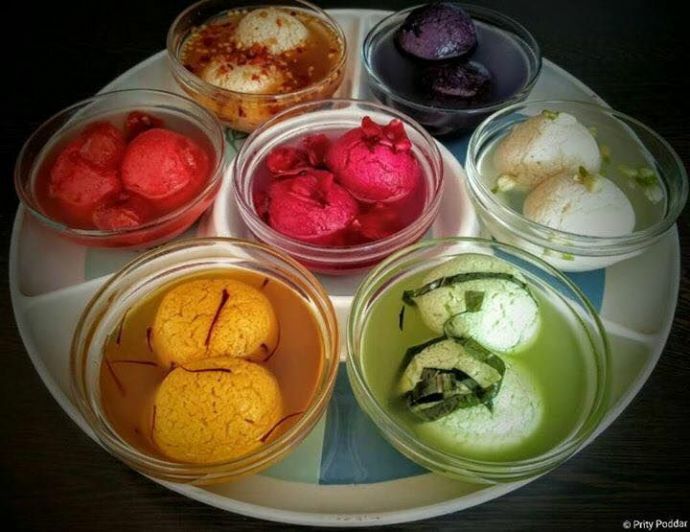 From the plethora of rasgullas she serves, Kairi Rasgulla, Cappucino flavoured, Strawberry, Black Current, Mangosteen, Gundi Paan shot Rasgulla, Green Apple, Thai flavoured, Elaichi or Sauf Rasgulla, Red Guava, Barley lemon flavoured are the ones that completely stand out in their own twist of flavours. From my heart, I'm a true-blue Kolkatan. Being born and brought up here, I know the emotional connect the people of this city have with sweets, especially rosogolla. But the number of admirers of the sweet has been on the decline. 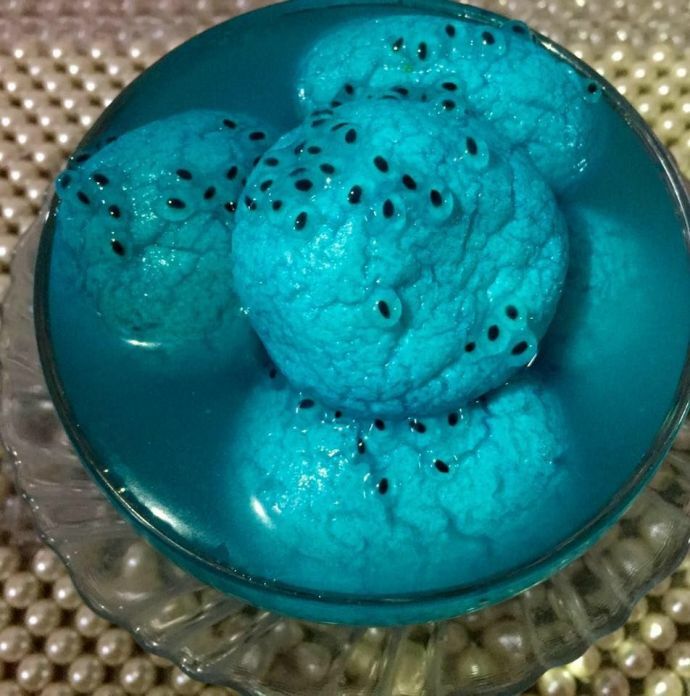 So, I couldn't stop myself from giving a quirky twist to the rosogolla. When chocolate rosogollas made it to the shops here, it was very wellreceived by Bengalis, so I thought why not try other unique flavours? My mother has been my constant support and helping hand. And my six-year old son, Radhesh, is my biggest critic. Whatever I prepare, I make my son taste first. Depending on whether he gives a thumbs up or down, I go ahead with the flavour. Moving ahead of sweet platters, you can anytime try your hands on ‘green chilly’ and ‘puchka flavoured’ rasgulla. Excited to try one? Head to her city- Kolkata and allow yourself to indulge in the awesome flavours of Rasgullas.